In quantum mechanics, the state reduction due to a measurement is called the collapse of a wavefunction. Its study is often perceived as a somewhat mystical phenomenon because of the lack of proper understanding. As a result, the formalism for the state reduction is often somewhat inadequately presented. However, as will be explained in Sect. 7.1, the state reduction due to a measurement follows automatically from the formulation of quantum mechanics, as described in Sect. 1.2. 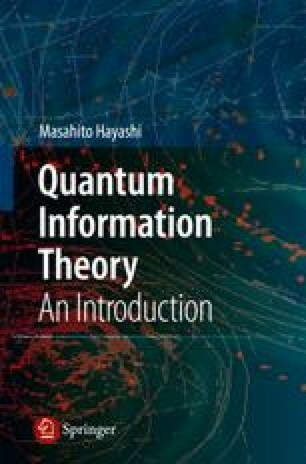 Starting with the formulation of quantum mechanics given in Sects. 1.2 and 1.4, we give a detailed formulation of the state reduction due to a measurement. In Sect. 7.2, we discuss the relation with the uncertainty relation using these concepts. Finally, in Sect. 7.3, we propose a measurement with negligible state demolition.